Saint Cecilia lived in the 3rd century A.D. in the Roman Empire. She was born to a noble family in Rome. Despite taking a personal vow of chastity, her parents married her off to a young pagan nobleman named Valerian. In response to this, she wore sackcloth and underwent fasting. She also invoked the saints and angels and asked them to guard her purity. Before the marriage was consummated, Saint Cecilia told Valerian about her vow of virginity and that she had an angel watching over her. The angel would punish him if he sexually violated her. When Valerian asked to see this angel, Saint Cecilia told him that he would first need to travel to the third milestone on the Appian Way and be baptized by Pope Urbanus. 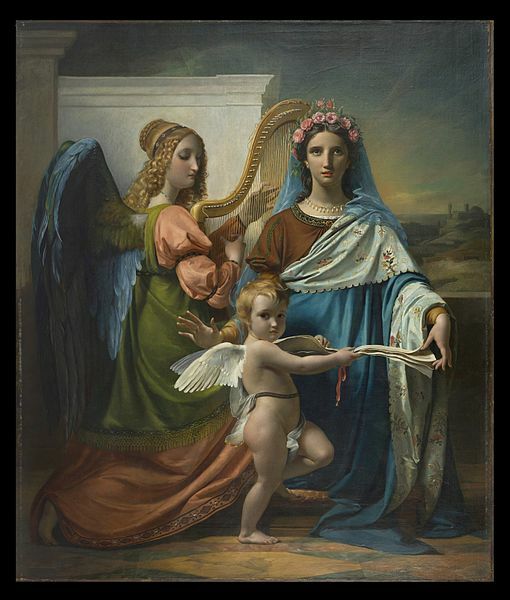 Saint Cecilia’s husband followed her instructions and when he returned he saw the angel standing beside her. The angel crowned her with a chaplet of roses of lilies. The love story of Saint Cecilia and her husband is recounted in a religious romance which circulated in Greece during the 4th century A.D. When Valerian’s brother, Tibertius, found out about the angel, he also asked to be baptized. Both brothers devoted their lives giving proper burials to the saints who were persecuted and killed by the prefect of their city, Turcius Almachius. Valerian and Tibertius were eventually arrested for their subversive activities and brought before Turcius Almachius. He ordered them to make a sacrifice to the pagan gods but they refused and for this they were executed. While her husband and brother-in-law were giving burials, Saint Cecilia devoted her time to her own ministry. She preached about the good news and was able to convert over 400 people. Most of these converts were baptized by Pope Urban. 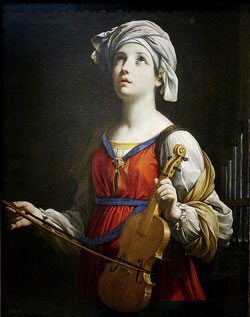 Saint Cecilia eventually faced persecution for her efforts but she miraculously survived many of the torturous acts inflicted upon her. First, she was arrested and condemned to be suffocated in the baths. She was shut inside the bathhouse for one night and even when the fires were stoked, she was alive when her persecutors opened the doors. When the city prefect found out about this, he sent an executioner to cut off her head. 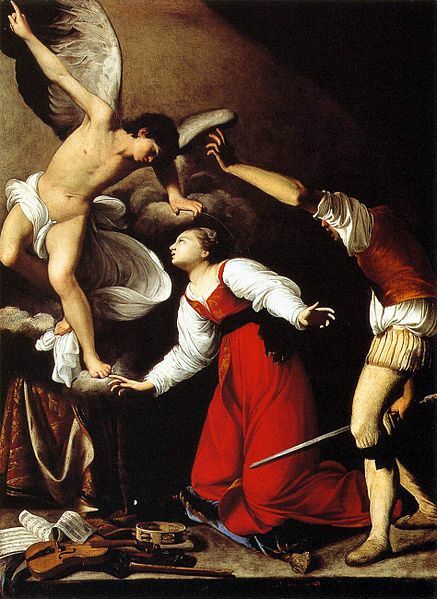 The executioner struck Saint Cecilia three times but was unable to decapitate her. Saint Cecilia was left bleeding and she lived for three more days. During the final three days of her life, Saint Cecilia continued to preach or offer her prayers to the crowds who had gathered around her. On the third day, she passed away and was buried by Pope Urban and his deacons. Saint Cecilia was buried at the Catacombs of St. Callistus. Her remains were later transferred to the Church of Santa Cecilia in Trastevere. Her namesake church is reportedly built on the site of the house where she lived. When church officials exhumed her body in 1599 they found her to be incorrupt. Saint Cecilia gained many followers during the Middle Ages in Europe. Songs, poetry and works of art were created in her honor. 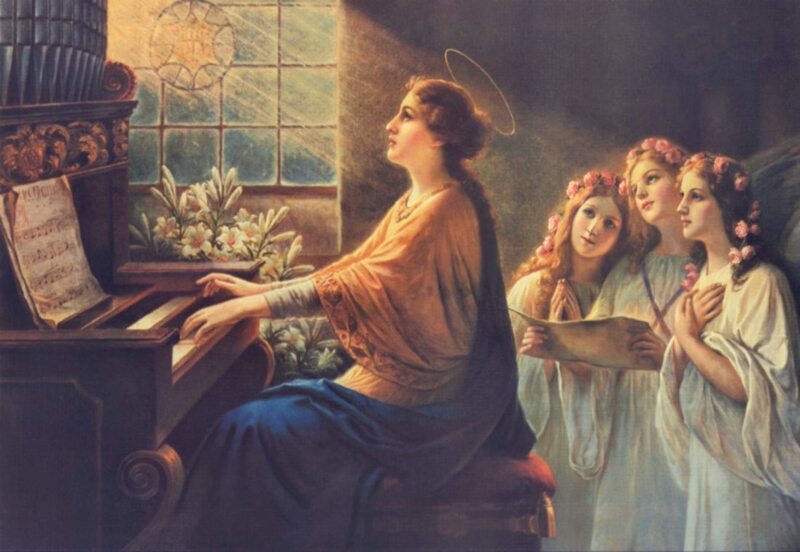 Saint Cecilia is honored as the patron saint of music and she is a symbol of the central role of music in liturgy. It is said that she heard heavenly music when she was married. Because of her ties to music, she is often depicted in art, statues and religious items with a harp, organ or other musical instruments. Many music festivals and concerts are held around the world in Saint Cecilia’s honor. The first one took place in 1570 Évreux in Normandy and her feast day is well known to be an occasion for concerts and music festivals. Aside from festivals, many music-related places and things show reverence to Saint Cecilia. For example, one of the oldest musical institutions in the world, the Accademia Nazionale di Santa Cecilia in Rome, is named after her. The word Cecyliada which refers to the festival of sacred, choral and contemporary music held in Police, Poland, is derived from her name. The famous luthier Jean-Baptiste Vuillaume also named a line of violin and viola St. Cecile. The Sisters of Saint Cecilia are religious sisters who shear wool used to make the palliums of new metropolitan archbishops. The Pope himself blesses the lambs used to produce the wool every January 21. The Pope gives the pallia to the new metropolitan archbishops during the Feast of Saints Peter and Paul every June 29. Has Saint Cecilia made an impact on your life? Tell us how!